Color Guard, Drones and Gaga! The Super Bowl halftime show last night blew the roof off NRG Stadium and had multiple moments that made fans say "oh my gosh". A huge discussion was about the color guard team that was featured in one part of the show. That team has been revealed as the Cypress Independent, a WGI competitor from Texas. 30 members of the Cypress spanning 8 seasons of Cypress Independent came together for the show. The team had three weeks to choreograph and rehearse, however as the show changed for Lady Gaga it changed for them. The team all learned their routine by watching videos that were sent out by their directors and teammates. In the end it all worked out great and the Cypress Independent thrilled band enthusiasts across the world. 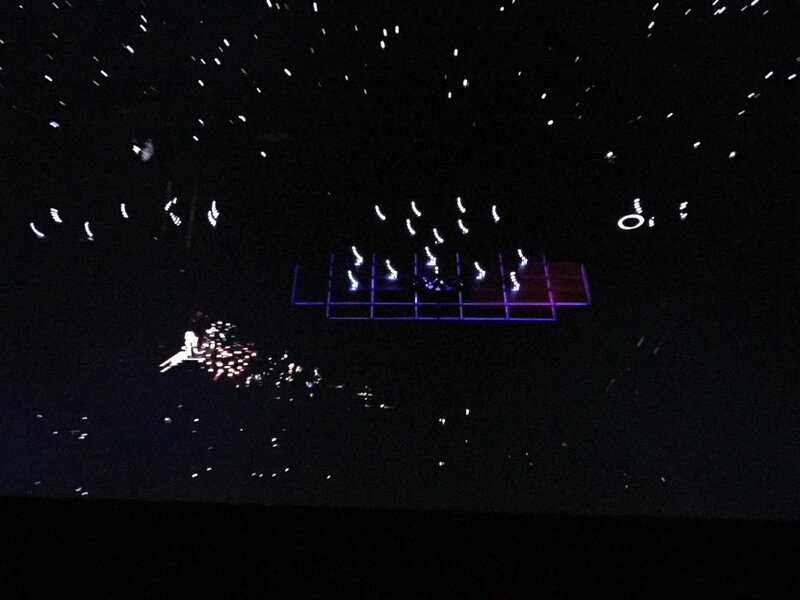 Before Cypress took the field, Lady Gaga opened the show in front of 300 flying drones! Meet the Intel Shooting Star drone system that already has the band world freaking out. The Intel drones just finished three weeks of performances at Disney World. They weigh just over 8 ounces. Each one communicates to a central computer that manages the flight plan. Imagine a marching band drill writing system for drones. The system can actually accommodate up to 10,000 drones at one time. Now the question is, will we see field drones at football games for night game halftime shows? It could be only a matter of time. In fact Disney is considering using them as an "aerial marching band". 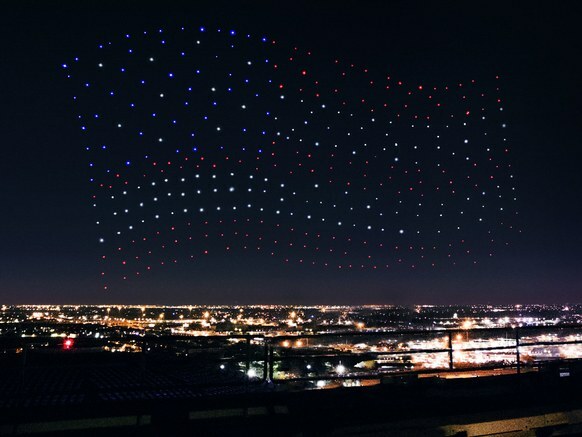 The drones can dance and create formations in the sky above a real life band or to piped in music. One thing we don't want are the drones replacing bands altogether!